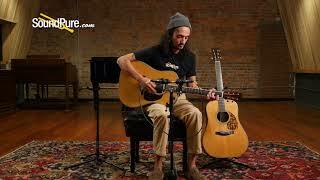 A legendary guitar for a legendary player with some tasty upgrades thrown in! Payments as low as $130/mo. Or, apply & pay as little as $130/mo. 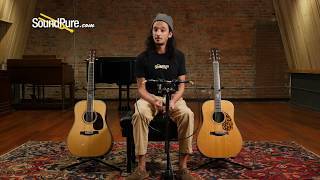 In this video, Sound Pure Acoustic Guitar Specialist Barrett Brooks compares 2 of our Santa Cruz Tony Rice Dreadnoughts.